In the past, the real estate industry has been defined by a handful of sectors in distinct geographical markets. The global property crash, almost a decade ago, highlighted just how invisibly interwoven all these markets really are in terms of finance and ownership. This interconnectedness of property in Ireland with Asian, Middle Eastern, US and other global funds is facilitated by technology and the unending search for efficiencies is driving proptech growth at an unprecedented pace. As an industry, property was ripe for innovation, having changed very little over past decades. Technology has undoubtedly played a huge part in this. Proptech, which is the collective term for technology designed for use in planning, construction and property, is revolutionising this traditional industry. In the commercial sector, proptech is transforming how buildings are designed, delivered (manufactured rather than built), marketed, occupied, managed and transacted. As a movement, it might be said that online property portals like Daft.ie and MyHome.ie were the first wave of technology innovators in the industry. Forward twenty years and we are seeing the early uses of blockchain technology, virtual and augmented reality, robotics, artificial intelligence and machine learning across the property industry, delivered through portals, real-time online bidding platforms, apps, devices or any combination of these. Herein lies the potential for confusion. On a practical level, proptech innovators are essentially solving problems for property professionals, users and financiers. While there are overlapping technologies targeting solutions in both the commercial sector and for residential. In practice, the many differences between these sectors means that we are seeing quite distinct challenges that require very different solutions. Like any proposed solution, proptech will only be relevant to the extent that it addresses real-world industry problems. The vast majority of the technologies emerging is transforming rather than disrupting the industry, with the possible exception of offsite manufacturing for modular building. Data is a hot topic right now. While the European conversation in the wake of new GDPR rules is focused on compliant management of data, proptech has long focused on the strategic value of data and how best to use it on both the transactional and the operational sides of the business. Big data and predictive analytics, when captured smartly, can feed into the daily workflows and influence the work carried out by property professionals. A great example of this is Building Information Modelling or BIM, which has effectively digitised the traditional construction processes, from real time reporting to immediate onsite ordering, with built-in clash detection. It has revolutionised the construction industry and enabled Irish design and build teams to export their knowledge in key sectors like logistics, data centres, pharma and more. Post-construction, a different type of technology-driven solution is required by commercial landlords and portfolio managers who must respond to two distinct streams of data per building, that is, data relating to the asset and then data relating to the occupier. Now, multiply these data streams by the number of buildings making up an entire portfolio and it becomes clears that property managers need a more sophisticated approach to co-ordinate building costs and ongoing maintenance activities. This is achieved by a connected IT platform that is industry intuitive and generates real-time reports, as well as predicting costly maintenance in advance. Marketing is a key function of real estate professionals. As mentioned above, the first wave of technology-driven innovation saw the launch of online sales portals and this transformed property marketing. It is unsurprising to see virtual reality take this a step further by allowing for virtual tours by remote buyers. But not all proptech is experienced online. 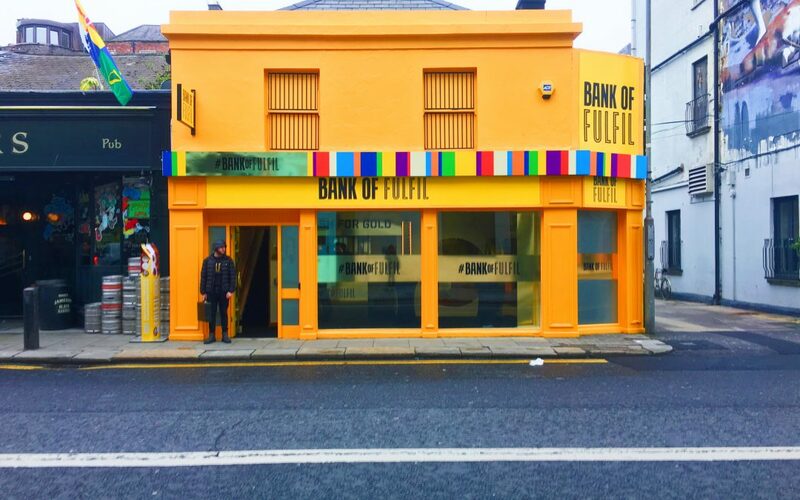 Award-winning Irish proptech company Popertee has taken the concept of experiential marketing and reworked it masterfully to provide big brands access to their target audiences, offline. Popertee strategically uses data to help identify the right space for a branded pop-up and then measures the impact of the campaign based on footfall, social media engagement and attendee demographics. CEO Lucinda Kelly believes that Ireland’s resistance to adopting technology in the commercial space has come to an end. In the commercial sector, there has been a heavy focus on ‘smart’ technologies, such as IoT (the Internet of Things – proptech people love their acronyms), networked sensors and devices for managed energy consumption and predictive maintenance. These are all enabled and fuelled by the data captured above. Cork-based Johnson Controls is a global leader in delivering equipment, services and solutions to increase the cost, energy and operational efficiencies of buildings. The business’ Metasys® building management system provides an integrated set of solutions for HVAC, fire, lighting and security systems within a building.